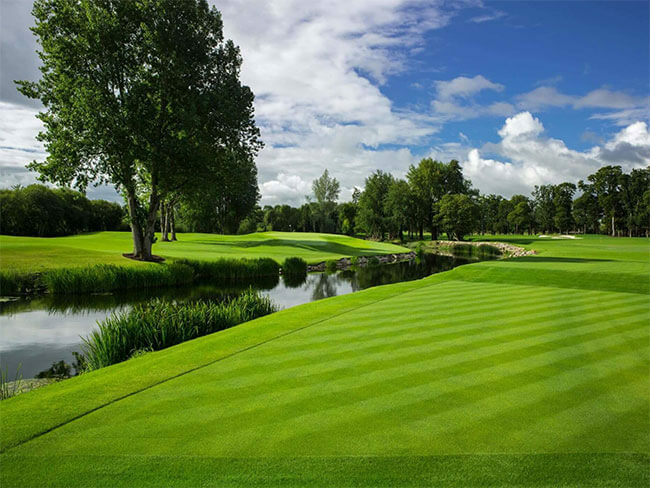 The Golf Course at Adare Manor was originally designed by internationally recognised golf architect Robert Trent Jones in 1995. 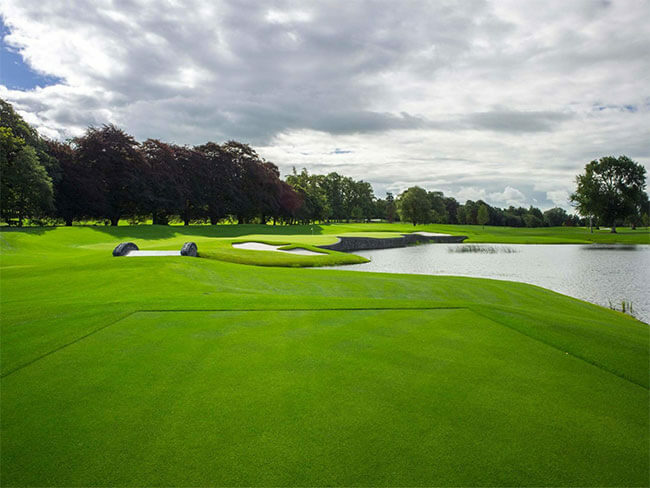 As part of the recent entire redevelopment of Adare Manor, renowned American golf course architect Tom Fazio, was chosen to conduct the comprehensive redesign of the course… and comprehensive it has been. Within his design plans, each hole of the golf course is set to have distinct character and unique playability, creating a complete golf experience to satisfy all levels of golfer, whether they play from the forward or back tees. Each green and tee are being rebuilt and redesigned from scratch, and every bunker is being replaced with the latest Capillary Concrete liner drainage technology. 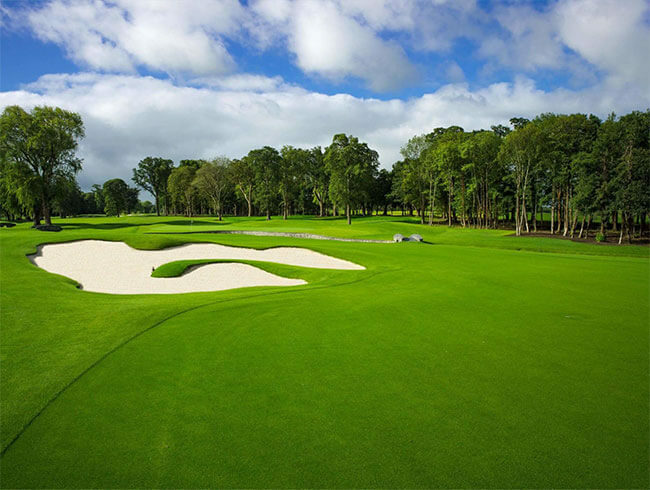 The change in the course’s physical appearance will be considerable even if the order of the holes remains the same. There will be no long rough which helps explain why there will be twice as much cut grass as before, equivalent to 79 hectares. Construction will include significant underground installations for drainage, with new irrigation and water delivery systems being introduced. There will be sand-capping of all fairways and roughs for the driest playing conditions and, thanks to a remarkable technology called SubAir, introduced beneath every putting surface on the course, there will be constant air movement to provide aeration while also moderating temperature in the root zone. 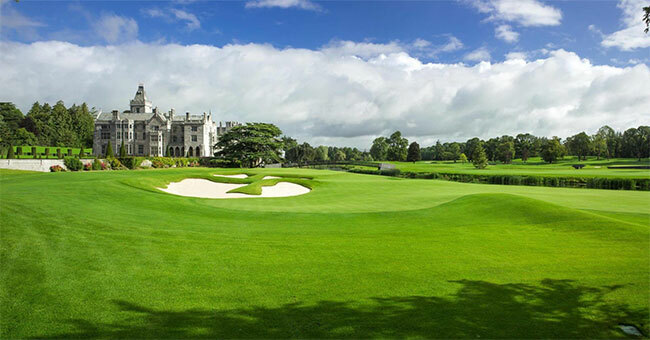 The Golf course at Adare Manor will be one of just a handful of courses worldwide to have this patented technology. Every green will have Pure Distinction bent grass to ensure the course has the purest putting surfaces available. This all combines to deliver a golf course which will be playable in all conditions. With significant golf events in mind, Fazio is also overseeing the infrastructure of roadways, hospitality arenas and access areas, also ensuring services for tournament power, media & telecommunications have been included as part of the construction process on the new Golf Course at Adare Manor. A golfing master piece which will be ready to stage one of the world’s biggest golf charity events in 2020.